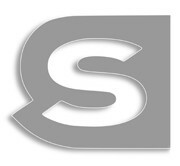 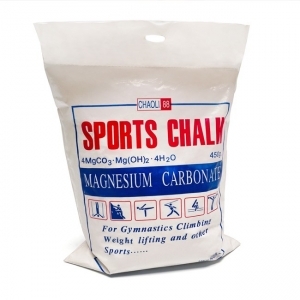 Powder, block and liquid solutions for chalk that can be used to wipe the sweat from the hands and to increase the grip. 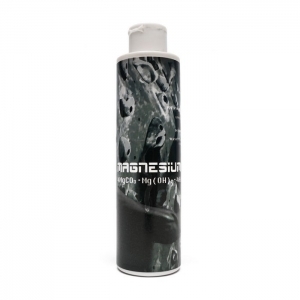 Powder, block and liquid solutions for Magnesium Carbonate (also called Magnesite), useful to wipe the sweat from the hands and, therefore, to increase the grip during a workout. 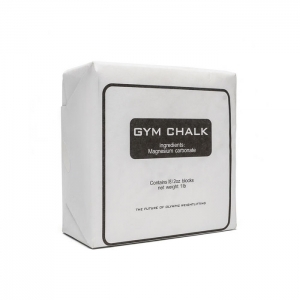 The chalk can be used to increase the safety and stability during barbell weightlifting and powerlifting exercises, but also for calisthenics and for functional training with tools like kettlebells or clubbells.